The Type 116 Alfa Romeos broke new ground when introduced with the new transaxle layout. The clutch and transmission were housed at the rear of the car with the differential for better balanced weight distribution. The Italian cancer (rust) has done in many of these cars by 2018. 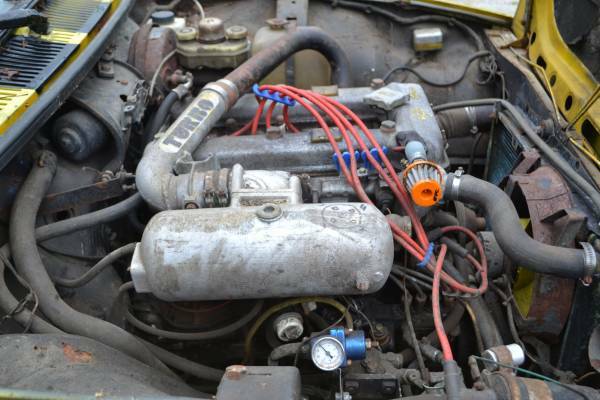 Today's example is very far from a beauty queen, but it has a very note worthy period turbo kit installed. Jafco and Shankle made bolt on turbo kits for the 2.0 Nord engine back in the 1980's, but the one in this car is different than either of those. No amount of internet sleuthing could help me figure out who produced this particular kit. 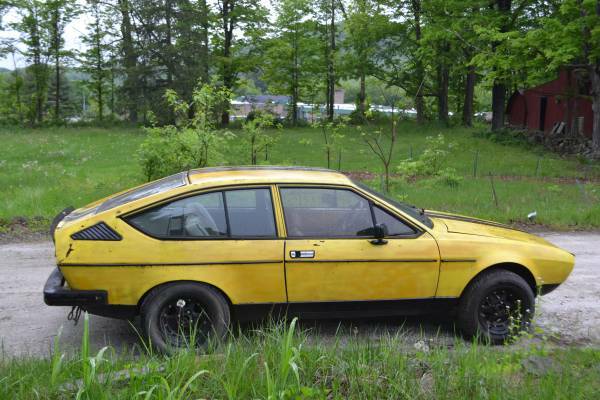 Find this 1976 Alfa Romeo Alfetta GT for sale in New Milford, CT for $6,500 via craigslist. Nice restoration project, could be a nice vintage road racer or rally car. 2000cc turbo, it runs, clutch works, brakes spongy. It doesn't get any more 1980's than that TURBO embossed crossover pipe. There is something strange going on with the stance of this car. The Gotti wheels appear may have tires with too tall a side wall installed on there leading to the monster truck look. 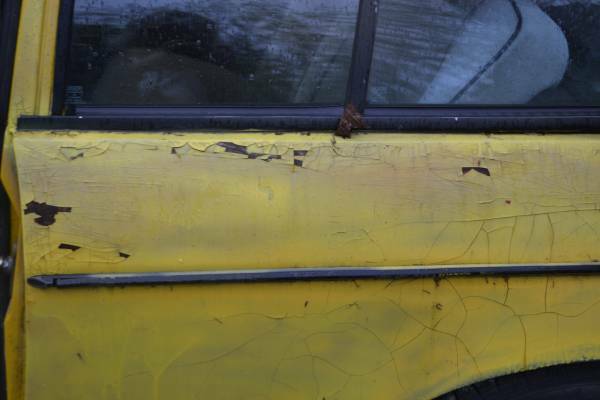 Is this the same patina that people are looking for in vintage pickup trucks? Only 2/3 of the the rear spoiler is on there any more. Being a 1976 model gives this car the infinitely cooler gauge cluster set up with the tach housed solo in its own binnacle to the left of the speedo and other gauges. 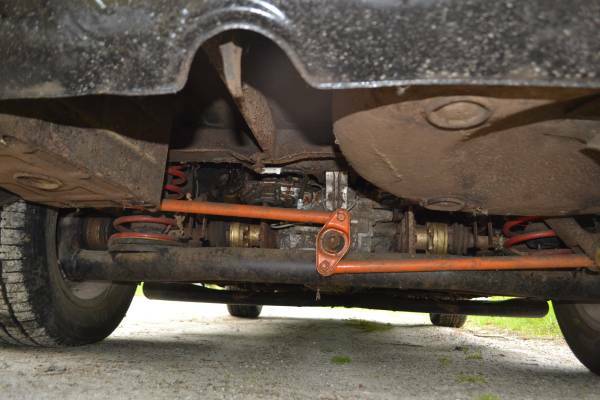 De Dion tube suspension shown below. Cory is still tracking down the clunk in the rear of his 1999 Mercedes E300. 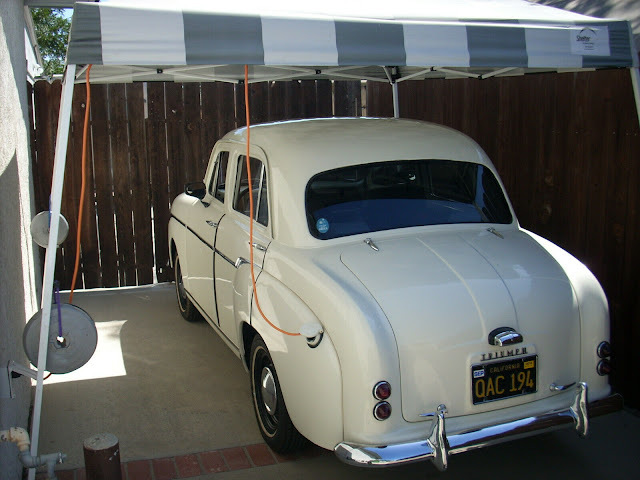 Did twin set-up,s but early version? That crossover screams of memory of some know kit. Banks? Nah. 'Over there' there was a turbo-diesel version too, so I see. The script is eerily familiar as it appeared on the early SAAB Turbo.